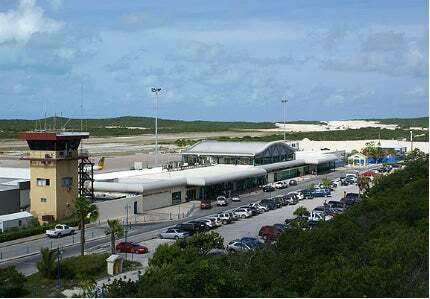 The Providenciales International Airport is located on the Turks and Caicos Islands, United Kingdom. Image courtesy of Turks and Caicos Islands Airports Authority. 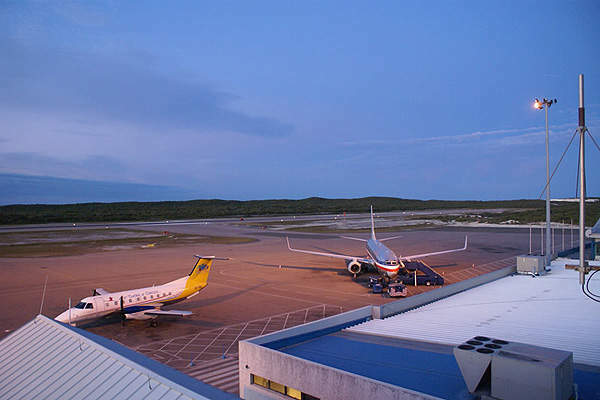 The airport's air centre can concurrently store up to 60 aircraft. Image courtesy of Turks and Caicos Islands Airports Authority. The Phase II expansion has increased the airport's parking lot capacity. Image courtesy of Turks and Caicos Islands Airports Authority. 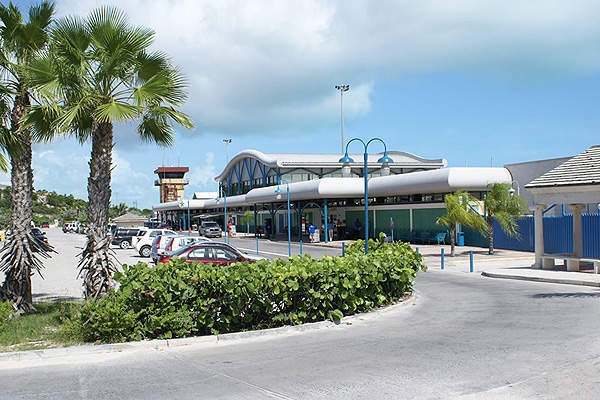 Providenciales International Airport has a 2,807m-long and 45m-wide runway. Image courtesy of Turks and Caicos Islands Airports Authority. 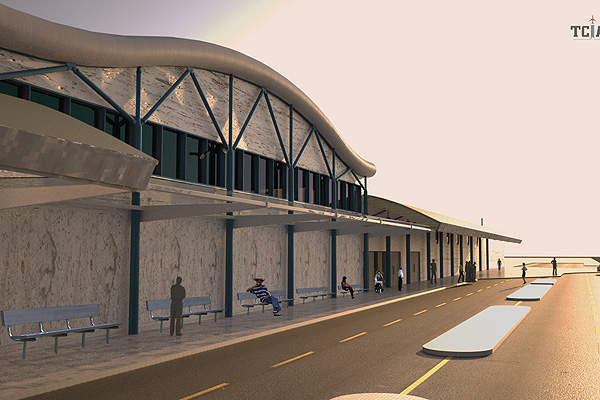 The $10m Phase II project included an expanded terminal building. The expansion began in 2013 and was completed in December 2014. The airport saw the extension of check-in areas, security check points and arrival halls. 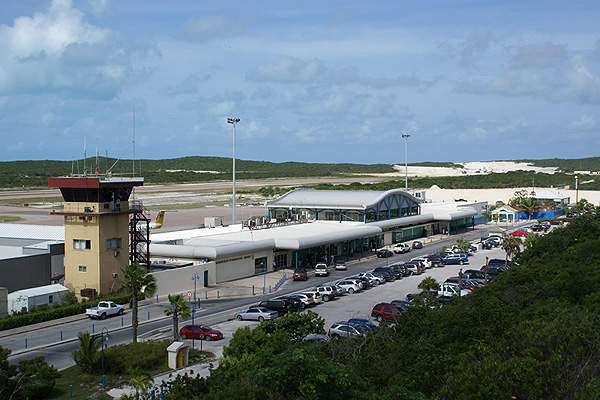 The Providenciales International Airport (PLS) located on the Turks and Caicos Islands, Bahamas, witnessed the completion of an expansion in December 2014. 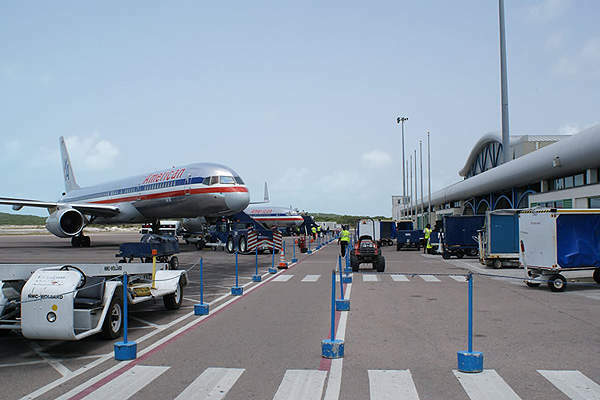 Also known as Provo Airport, it is operated by Turks and Caicos Islands Airports Authority (TCIAA). The expansion and redevelopment at the airport was completed in two phases. Construction of Phase I began in June 2010 and was completed in July 2011. Construction of Phase II started in 2013 and was completed on December 2014. 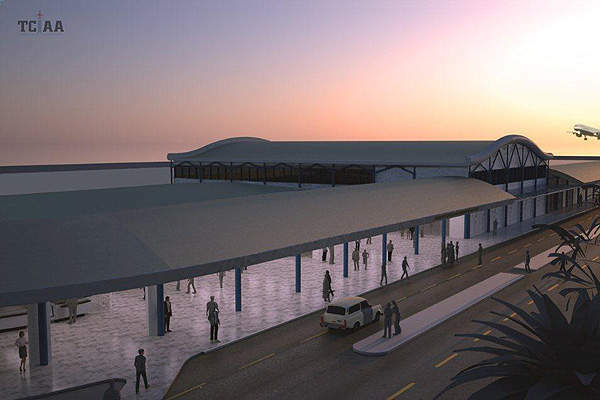 In July 2010, FirstCaribbean Bank partnered with Barclays Capital to provide $70m for the Phase I expansion of Providenciales Airport. "Also known as Provo Airport, it is operated by Turks and Caicos Islands Airports Authority (TCIAA)." The $100m Phase I or Airside Redevelopment and Rehabilitation Project included the extension of the runway and aircraft parking apron, rehabilitation of the runway pavement facilities and replacement of the airfield electrical equipment. The asphalt-coated runway was extended to a length of 2,807m to facilitate take-off and landing of all medium-sized and large aircraft. The extended runway was opened in August 2011. A new taxiway (Golf) was built and a new air-ground lighting system was installed during the Phase I expansion. The aircraft parking apron was extended by 70,000m². The airport’s security was also enhanced by adding a 7.7km perimeter fencing line topped with barbed wires and curled razor wires. The $10m Phase II project was completed in three stages. It included the expansion of terminal building and a parking lot, installation of a new flight display system, and expansion of the check-in counter areas, departure lounge and roadways for an improved passenger experience. The expansion increased the terminal size from 51,462ft² to 92,321ft². The expanded terminal has additional bathroom facilities, retail space for shops and restaurants and self check-in kiosks. It has an upper parking lot that can accommodate more than 300 cars. A new traffic circulation system was built during the first stage of Phase II. It also included the extension of the west car park and departure lounge, and relocation of the parking lot to the terminal building. The parking lot is elevated and has three tiers: executive, main and overflow. Dolmen Construction completed the construction of the new traffic circulation system and preliminary works for the upper west parking lot by June 2013. The second stage included the extension of the check-in area, security checkpoints and arrivals hall. The final stage of the Phase II was mainly focused on the domestic area, car parking and aesthetics. The airport has two departure lounges, one for international flights and the other for domestic flights. It features automated check-in kiosks for major airlines. Lime TCI installed Wi-Fi services at the airport’s departure lounge in January 2013. "The airport has two departure lounges, one for international flights and the other for domestic flights." High-definition LCD screens, large tension fabric displays and charging stations were installed at the airport by Interspace Airport Advertising (IAA), a subsidiary of Clear Channel Airports (CCA). The nearby 25-room Airport Inn Hotel offers high-quality dining facilities and other hospitality services to passengers. The airport also has a Gilley’s Cafe restaurant in the terminal building and a snackette in the international departure lounge. An ATM is located in the international check-in area. The airport has an air centre with hangar space to store between 50 and 60 aircraft at a time. It is the only fixed base operator (FBO) at the airport and includes a customs and immigration service centre. The $15m centre features a wide parking area and modern lounges with advanced facilities for the crew. It also provides other services such as fuel, parking, maintenance and cleaning, car rental and food facilities at the airport. GENIVAR subsidiary Pryde Schropp McComb (PSMI) served as the airport consultant and project manager for the Phase I expansion of the airport. The company provided planning, engineering design, contract administration and project management for the expansion. WSP Group also provided engineering design, project management, contract administration and site supervision services for the project. Dexter Construction received a $35m contract for Phase I in April 2010. Dexter served as the construction manager for the project. The subcontractors were Cove Construction and CBMS. Dolmen Import and Export was the construction manager for the Phase II expansion of the airport. 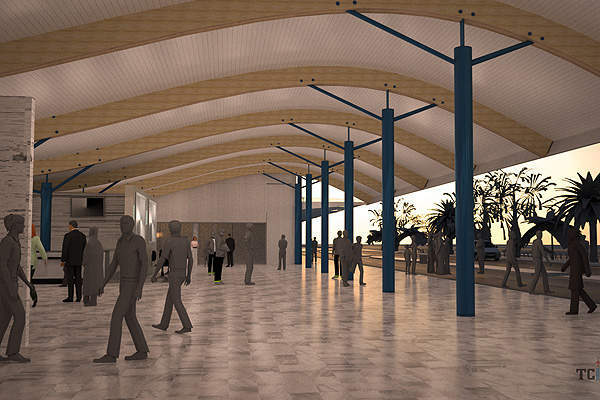 RBS Architects designed the terminal expansion. Less than 120 miles (75km) from Central London, similarly close to its several international airports and even closer to Manchester International, Birmingham’s own airport does not have the scale usually associated with the second city of a developed country.